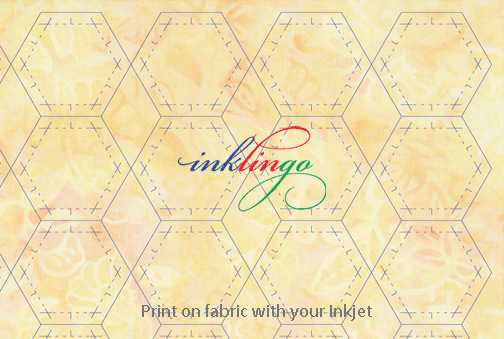 The best time to start quilting with Inklingo was 10 years ago. 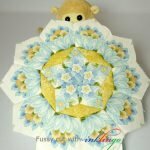 Use a rotary cutter or scissors and sew by hand or by machine. I always recommend starting with the FREE Diamond Triangle Square shape collection because it includes the first chapter of The Inklingo Handbook and some versatile shapes to print on fabric. 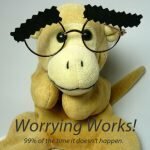 Two months ago, Shannon in Missouri did not have Adobe Reader on her computer and did not know how to get it. There is no stopping Shannon! She needed a little bit of help opening her first downloads but now she can’t stop printing shapes for stars! 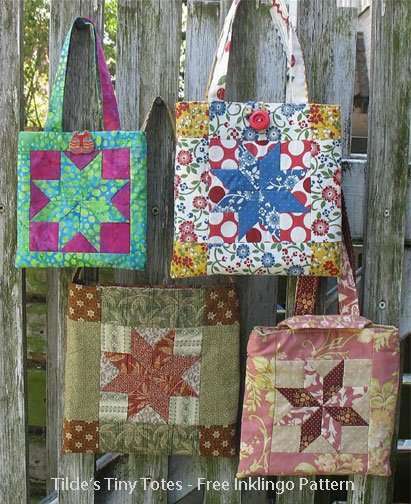 Tilde’s Tiny Totes (free pattern) will help you turn your first two stars into something you will enjoy using. Printing is one of the easiest things you can do with a computer. When you’re ready, you can try fussy cutting too. Monkey says, if you are reading my blog, you have all the computer skills you need to print with Inklingo! Come on in! The printing is fine! 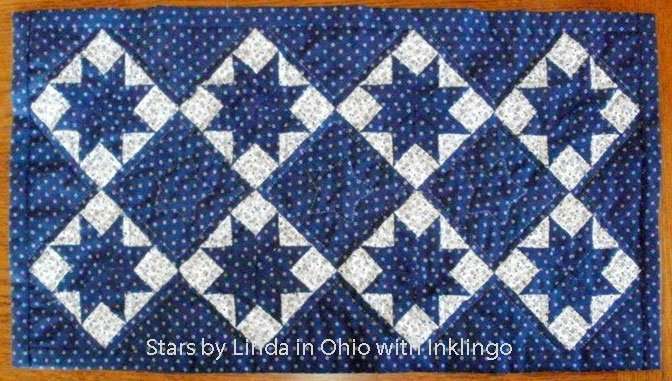 Linda in Ohio showed me these wonderful table runners that she made with the free shapes! I’ve been sewing all my life. 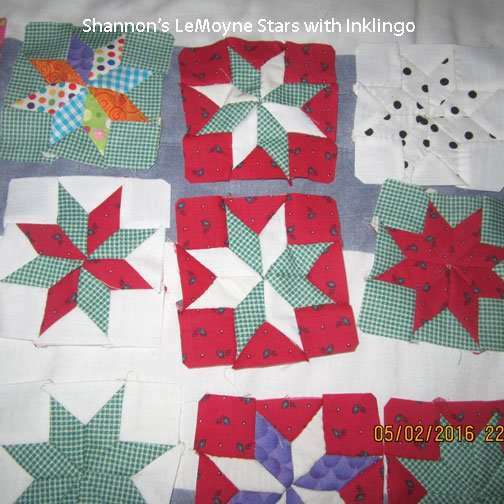 The first quilters to start quilting with Inklingo were quilters who knew me because of my Dear Jane™ quilt and my Quilted Diamonds books. 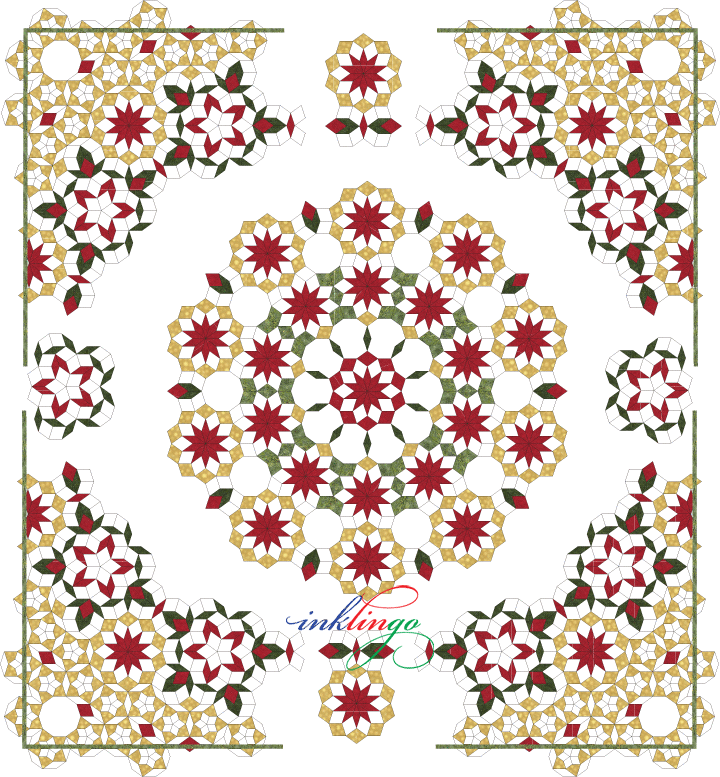 Nowadays, just as many quilters use Inklingo for machine piecing as hand piecing. 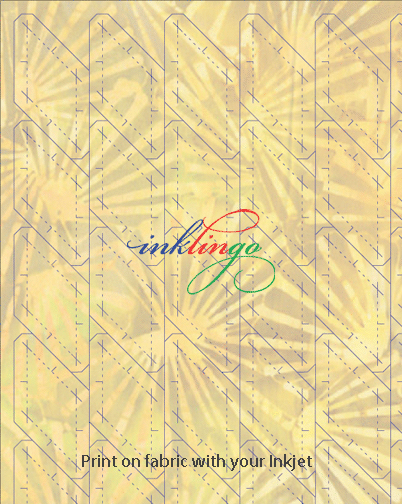 I designed Inklingo so it uses the computer, printer and ink everyone already has, so there are no barriers to entry. 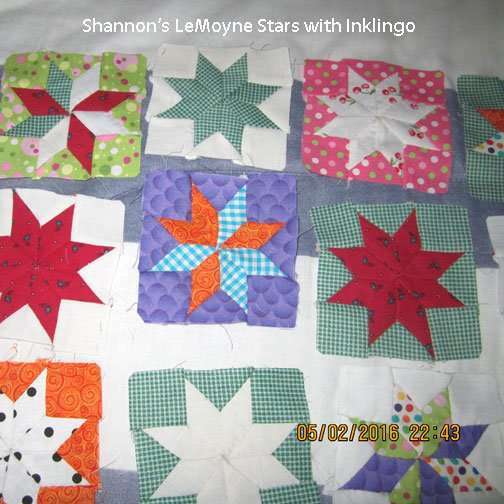 Inklingo quilting is for everyone! 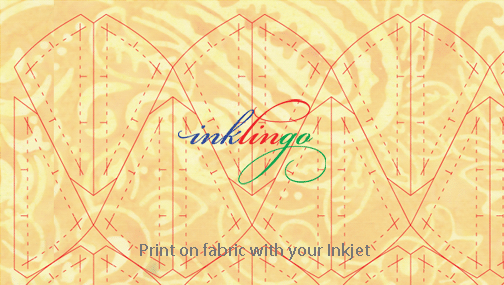 Thanks to the Internet, Inklingo is used by quilters in more than 65 countries. 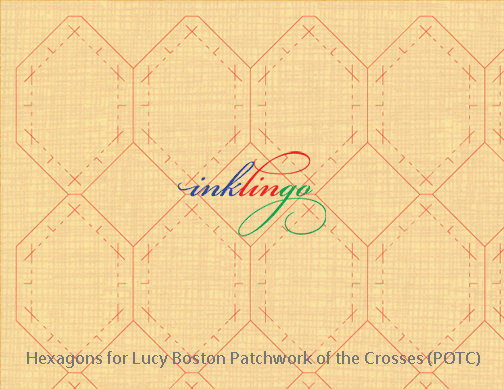 Many quilters who use Inklingo don’t speak English! We were a little ahead of the curve but by 2008 a small Canadian company introduced a user-friendly method for providing downloads using FREE Adobe Reader software! We love the convenience. All you need is your computer (Windows or Mac) and Adobe Reader (FREE) and any ordinary Inkjet printer. Copy protection can be a nuisance but Inklingo uses the most user-friendly method possible (so far) and the advantages are huge. ALL Inklingo shape collections have been revised twice to keep up with changes in technology too. (2011 and 2015, free to everyone) You probably didn’t even notice. Printing is one of the easiest things you can do with a computer and even quilters who barely understand how to send an email can do it. Jump on in, the printing’s fine! “Tech support” is provided—by me—for quilters who try to open with something other than Adobe Reader. NOTE Recently, some quilters have had to re-install Adobe Reader (and their other software) after updating to Windows 10, so we are a bit annoyed with Mr Gates, but it’s just a little wrinkle. If you are not “tech savvy,” I can help. The beauty is that when you open a PDF, you can use it “offline”—when you are not connected to the Internet! You don’t even have to enter your email address and password again until it has been longer than 200 days. You don’t have to keep track and nothing expires. Very nice. We’ve made it as user-friendly as we can, and we’ll be ready when the next improvement comes along! Learn to print on fabric with the free shape collection and then you will be ready for ANY other shapes—like the new Cleopatra’s Fan! I hope you’ll join us on the journey for the next ten years! If you subscribe to the blog (top of right side-bar), you will be the first to see what’s next! 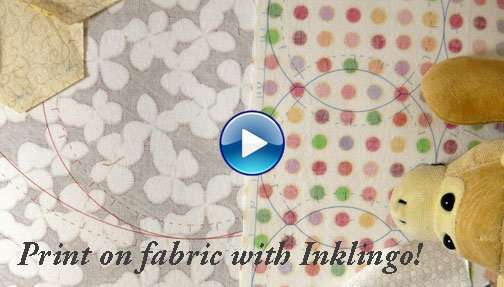 If printing on fabric is new to you, you might want to see this video Introduction to Inklingo. 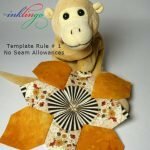 It explains the three key ideas that make it possible to print templates on fabric. Please share my videos on your blogs and Facebook and please tell your friends about Inklingo! There is much more on the website. 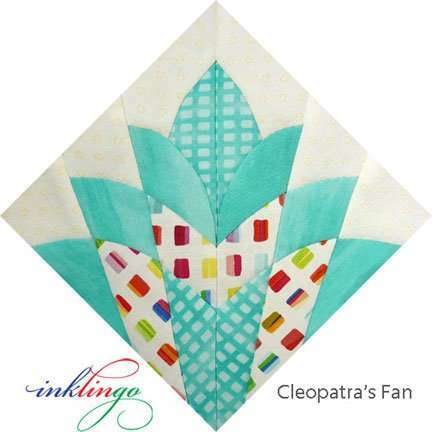 Cleopatra’s Fan Quilt Design Book FREE! If you have questions or suggestions, please let me know. I would love to see photos of what you are making with Inklingo too. All in all, I think you’ll agree—it’s a great time to be a quilter! I started using Inklingo in 2008. 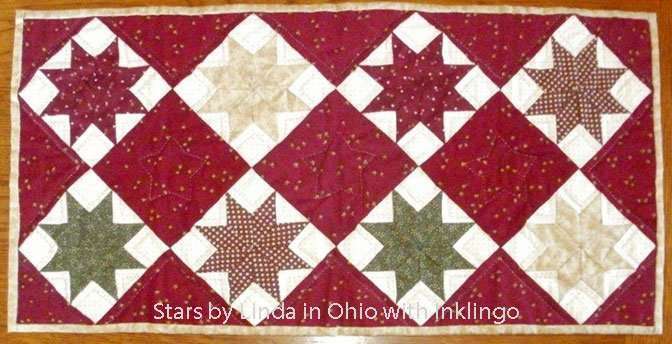 You changed my quilting forever.I’ve made quilts with shapes I never would have used without it.Congratulations on your 10th anniversary and thankyou. 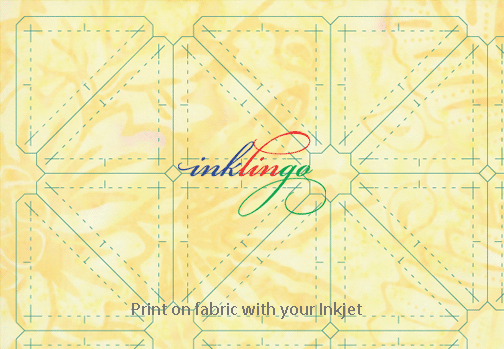 Inklingo is my best quilting friend.lol. When I discovered Linda’s Quilted Diamonds. I just have to buy the books and cd’s. now that was for me. I hate to trace, cut and mesure. So Inklingo was a life saver and I have not stopped using it eversince. Happy 10th Anniversary to Linda and keep us busy please with new ideas and shapes. Oh, how I remember when that very first CD arrived in the mail and the excitement when I printed my first sheet of fabric. Now, 10 years later, I can’t imagine even contemplating making anything without Inklingo! We are so very, very fortunate that you not only had the brilliant – and patentable! – idea but have also been so on top of changes in technology. Your attention to detail is really quite phenomenal. All one has to do is open a collection and that is very evident – suggested custom layouts, pages of combo shapes and bonus shapes. 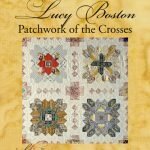 The design books are like having a private lesson with you any time we might need it with suggested sewing sequences, pressing tips and the fabulous galleries of quilts in those design books. Congratulations, Linda and Monkey and Russ, on a wonderful first 10 years! I can’t wait to see what the next 10 years bring! Yes, Inklingo is wonderful……fast, accurate, and fun!!! 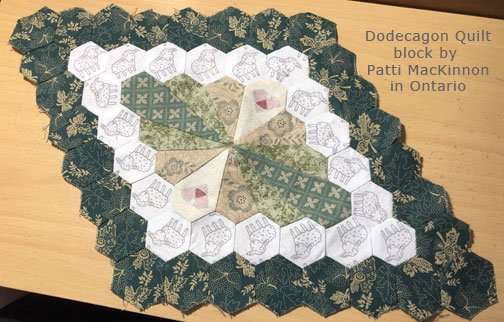 Wish I had known about it sooner ( first started using it in 2013) and wish there were more quilting hours in my day. 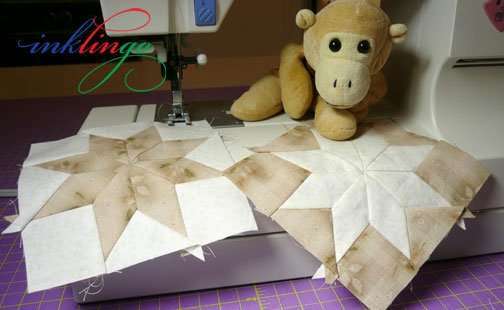 But, with Inklingo, I can accomplish more in less time than before and am even doing some hand piecing….imagine that!! Thank you, Linda, for your fabulous method and all of your explicit and detailed instructions! !